The Spring Roller awning has a top roller fixed within a weather box or brackets, with a 38mm bottom tube fixed in a pocket. It can be operated up and down by simply pulling on the bottom bar. 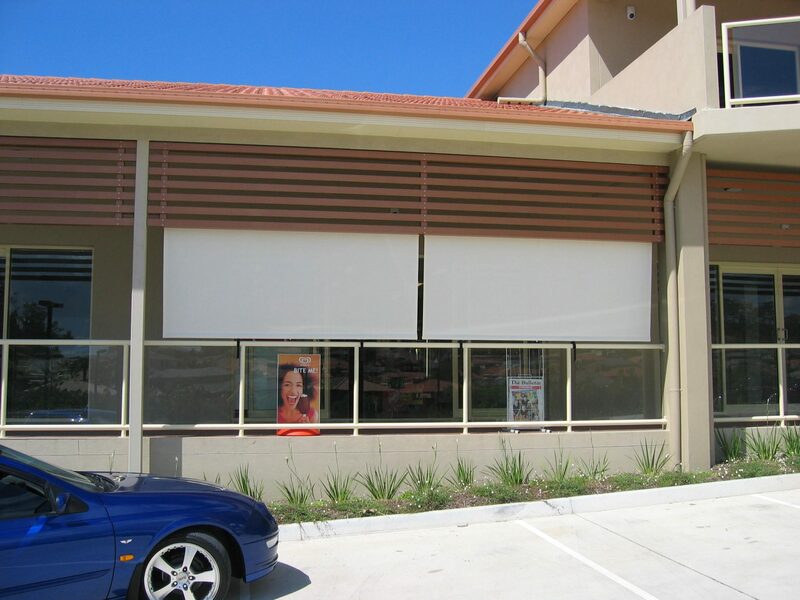 As this awning has a spring loaded roller, the blind is under tension so will roll up once unsecured. Saddles are attached to the bottom rail, and stops are attached to the structure on either side at the desired level for locking off. A variety of fabric options are available including; Canvas, Vinyl, Mesh in a variety of colours, with clear PVC options also.